Wild adult canines don’t bark, unlike their domesticated kin. The lack of a natural counterpart to barking in domestic dogs means early humans selectively bred dogs for traits that ultimately included barking as a way to communicate with our modern best friends. Anyone who lives near or with a nuisance barker knows, what we started is not always easy to stop. Aside from barking being a nuisance, dog owners in condominiums or apartments run the risk of having their dog or themselves evicted, and some municipal ordinances forbid nuisance barking. Every dog is different, but most nuisance barkers can be silenced with two to three weeks of training. PetSafe® offers several bark control options. 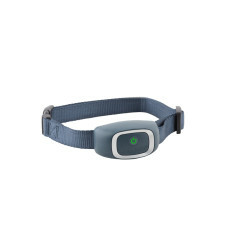 Our unique PetSafe® Spray Bark Collar emits a quick, harmless spray that startles him into silence. 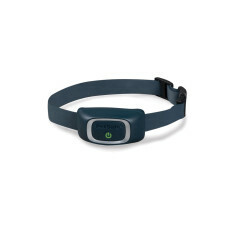 The electronic collar is rechargeable and water resistant and comes with refill cartridges that provide 35 sprays each. The collar’s sensor can distinguish your dog’s bark from other pups, so it won’t be activated by other dogs in the neighborhood or home. Dogs have a sense of fairness, too, you know. 6. Single sharp short bark at a higher mid-range: “What’s this?” or “Huh?” This is a startled or surprised sound. If it's repeated two or three times, its meaning changes to, “Come look at this!” to alert the pack to a new event. 9. Stutter-bark at a mid-range pitch: If a dog’s bark were spelled “ruff,” the stutter-bark would be spelled “ar-ruff.” It means “Let’s play!” and is used to initiate playing behavior. 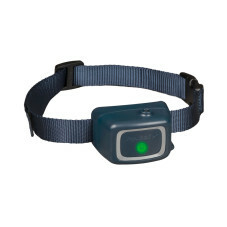 In addition to PetSafe® bark collars, there are several options for helping control your dog's chatter. Exercise and lots of playtime will wear your dog out, and he will talk less as a result. Understanding your dog’s barking and working together to communicate and control barking can remove the strain excessive barking may have put on your relationship with the entire neighborhood or apartment complex. We can work with you and your friend to control his barking. After all, we started it.